Who says you can't doodle? Remember that time, back in school, when our desks carried names and weird scribbled figures we made during those boring classes? And on the back cover of our notebooks, the designs we made pretending to make notes? We all just love to scribble our vivid daydreams down, don't we? It’s time to channelize those subconscious designs into creating intricate pieces of art and learn the basic steps of doodling. Hootenanny brings to you a doodle workshop for the art enthusiasts to dedicate one day to creativity. 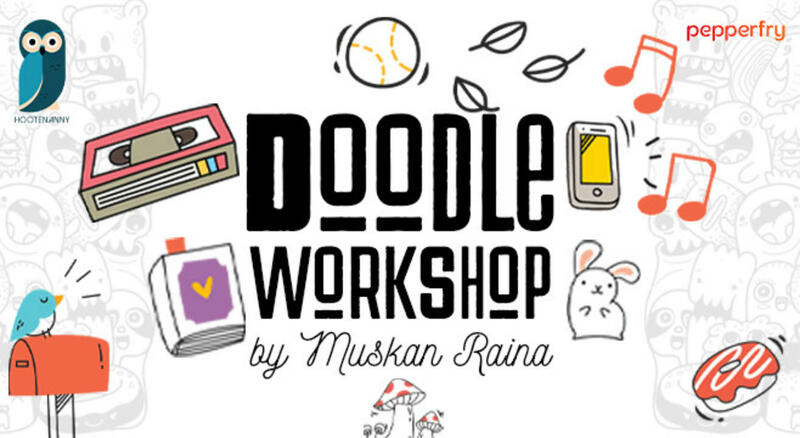 Our doodle instructor, Muskan Raina, will take you through the basics of doodling and how it can be a real stress buster through visual presentation. By the end of the workshop, you’ll have all the skills you need to make your own doodle art artwork. All the art supplies will be provided. All you have to do is to let that Picasso in you take lead! Ticket link to be announced soon.